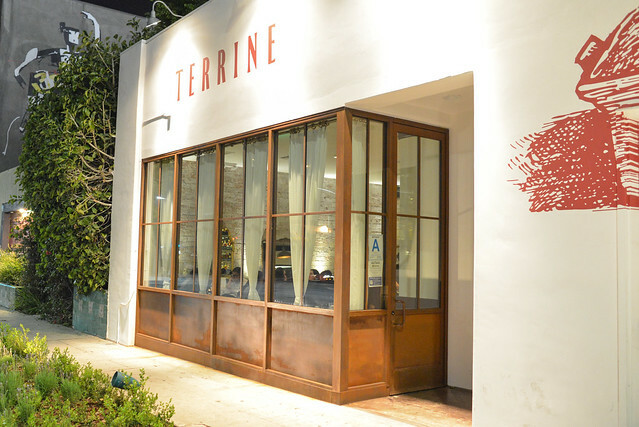 Terrine opened at the end of last year on popular Beverly Blvd a block away from Jar. 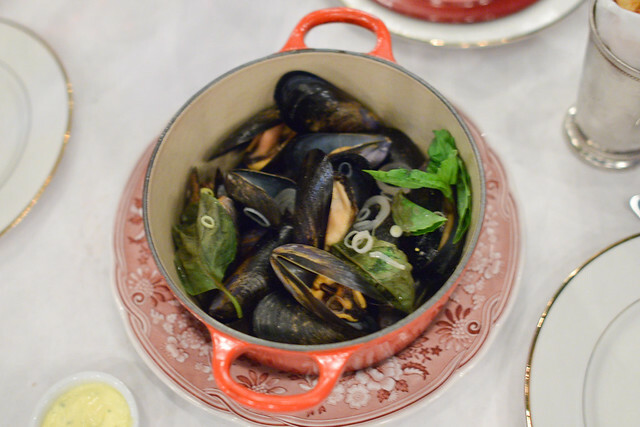 The restaurant is described as a “California brasserie;” typical French brasserie items do make an appearance along with a bunch of salads, pizzas, pastas and a wide-ranging variety of dishes. I’ve enjoyed Kris Morningstar’s food as he’s bounced around the city (Blue Velvet, Casa, Ray’s and Stark Bar) so Terrine was definitely on my list of restaurants to try. We came during one of the Friends & Family preview events, but the overwhelmed kitchen wasn’t able to send much out with consistency. Having given the place a few weeks to gain its bearings, we stopped in for dinner. We ordered an assortment of dishes during a preview night (the first three images), ordering new dishes on the second visit. The terrine had such a clean expression of the liver, it reminded me of what I had been missing. Rich and smooth. Prunes added some acidity and sweetness with the crusty baguette. 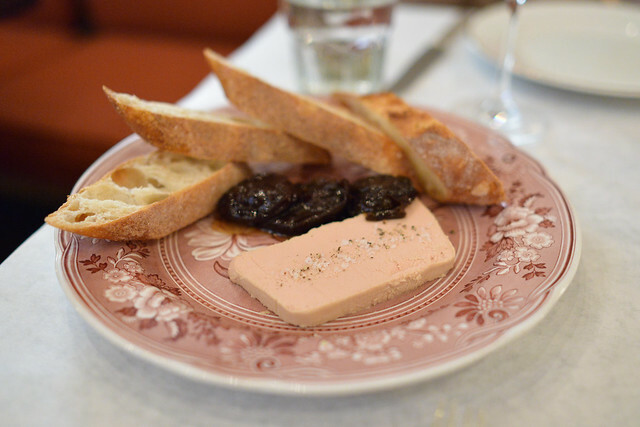 The best foie gras I’ve had in this city since…June 30, 2012. 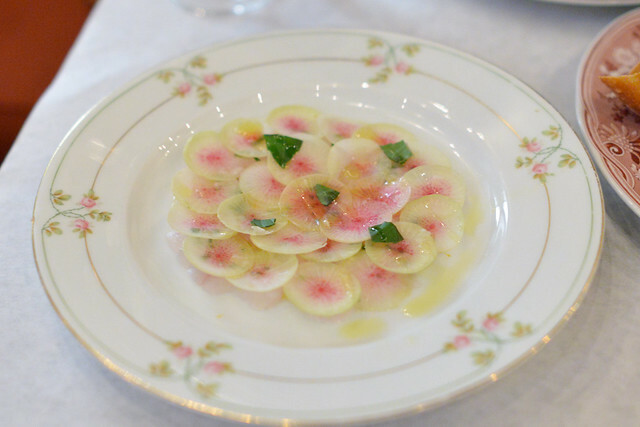 The fluke had a mild fish flavor, complemented by delicately crisp radish and some bright citrus. Beautifully plated but overall flavors were a bit muted especially compared to the other two starters. For some reason, I was expecting a sort of milk/egg-based custard or something. Silly me. 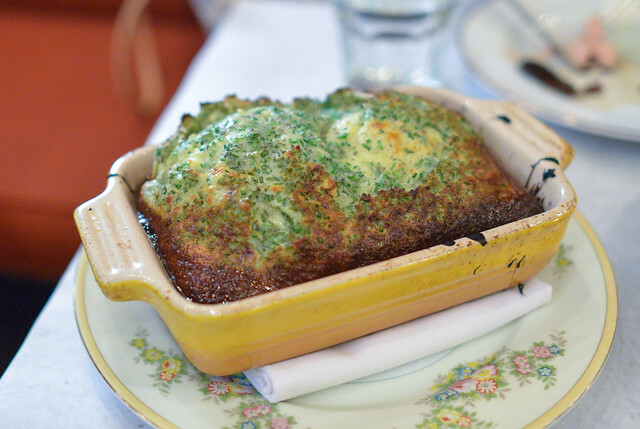 This was reminiscent of a British savory pudding with crispy edges and hot, fluffy herb-infused interior. Loved the textural contrast and the bright herb flavor. 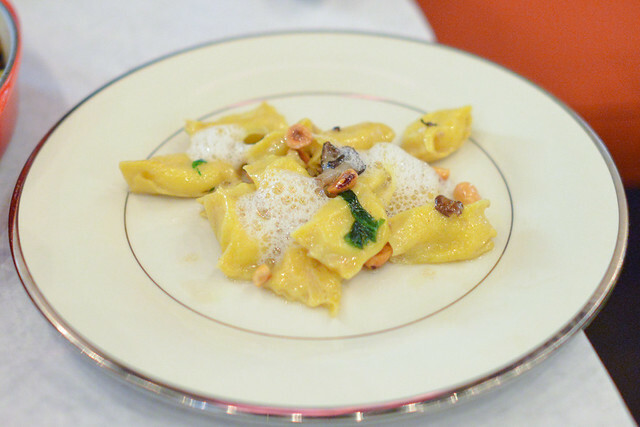 The pasta had a nice chew with a subtle truffle flavor within its creamy filling. Plenty of earthy flavors came with them, but I wanted some brighter flavors to balance them out. Portion size could’ve been a little more substantial for a main course, too. 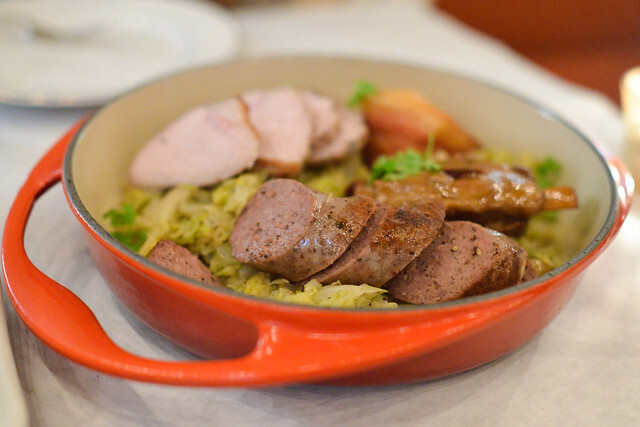 The choucroute platter was massive, fit for sharing as the most expensive dish on the menu (outside of a 24oz cote de boeuf). Execution on the meats wasn’t as expected; the loin was on the dry side, as was the peppery sausage (surprisingly). Not particularly enjoyable. Pork jowl was crispy and flavorful (as it was almost all fat) but the shank was tender, rich and quite delicious. 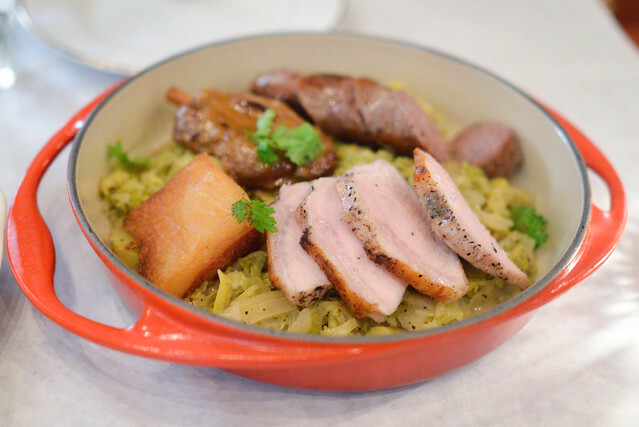 It all rested on a bed of housemade kraut and tender potatoes with spicy whole grain mustard. 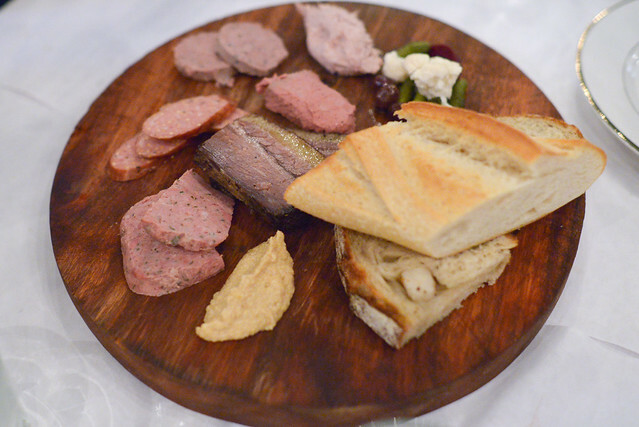 The meal at Terrine started off with a couple of strong starters, but didn’t quite keep up after that. 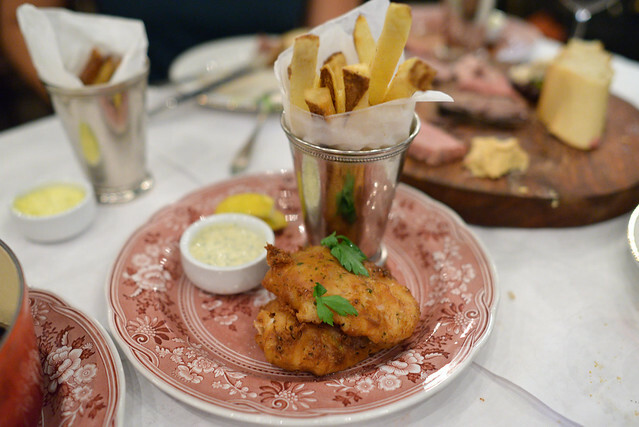 Maybe it was just what we ordered, but the mains really didn’t impress. Service was spotty on this Sunday night too, which didn’t help things. I’ve seen some really intriguing plates on the restaurant’s social media so I may give it another try, but it won’t be anytime soon.